When listed as "In Stock", this product will ship immediately. 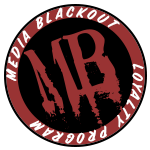 The Media Blackout Battery Tap is a DV battery to P-Tap receptacle adapter that passes unregulated voltage from small camcorder and DSLR batteries. The enclosure is printed in our super strong and lightweight carbon fiber-nylon composite and features an ABS Injection molded battery plate. The Battery Tap can be mounted to equipment via 1/4-20 threaded holes or Velcro.